cinovu trailer from cinovu on Vimeo. Independent filmmakers are enjoined to make their films viewable across the globe. Based in Berlin, Germany, Cinovu is a new online arthouse cinema that has a vision to revolutionize film distribution in a wider scale. How cool it would be to have an online access to films made by different countries in the world. 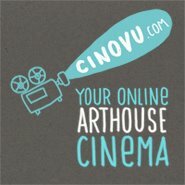 Film enthusiasts are also encouraged to check out the site: http://cinovu.com. Note: Cinovu actually sounds like "sinubo." Sinubo comes from the rootword "subo" which means in Tagalog, "to put something into the mouth." Sinubo is the past tense of "subo." To speak about films figuratively, let me say: Isubo ang kariktan ng pelikula sa isip at diwa (To feed our mind with the beauty of films). Follow Cinovu on Facebook and Cinovu on Twitter.